Luxurious 3 story 2 bedroom, 2 1/2 bathroom townhome in a secured gated community. The interior of this townhome features a gorgeous kitchen with wood cabinets, granite countertops, bar, and stainless steel appliances. Large living room/dining room combination with private outside patio and a powder bath. The upstairs has a split bedroom plan with two master bedrooms, each having a private bathroom. The large laundry room has plenty of extra storage and is located upstairs between the 2 bedrooms. An oversized garage can park 2 cars tandem and has a large storage area under the stairs. 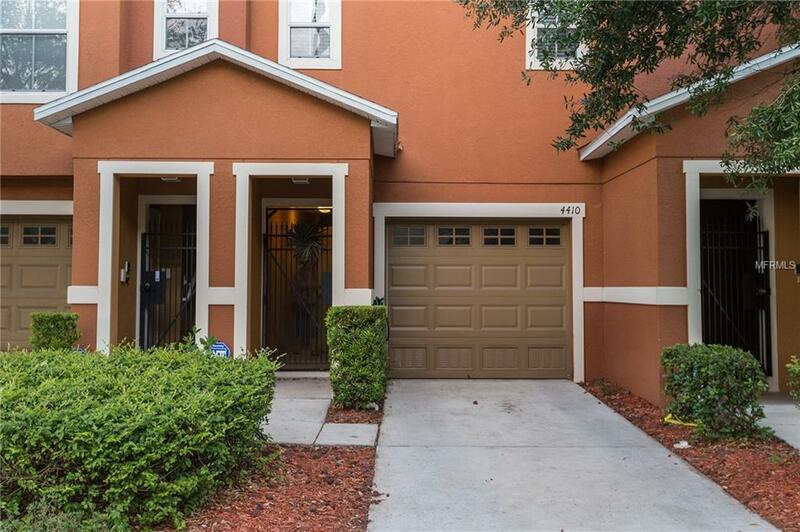 Palm River Townhomes is located just minutes from downtown Tampa, Channelside and Ybor City! This community features spectacular water views overlooking the bay and downtown! A MUST SEE!! An oversized garage adds lots of extra space for storage and space for up to 2 cars. This gated community has a small-town atmosphere with the convenience of big-city amenities which make it a great place to live, especially with very quick access to the expressway! Call today to request a showing before this beauty is gone!